It was probably only a matter of time until eclectic producer and Mannequin label founder Alessandro Adriani would join up with Stroboscopic Artefacts, since both are heavily invested in taking electronic music listeners outside of their comfort zone and into a world of unpredictable outcomes. 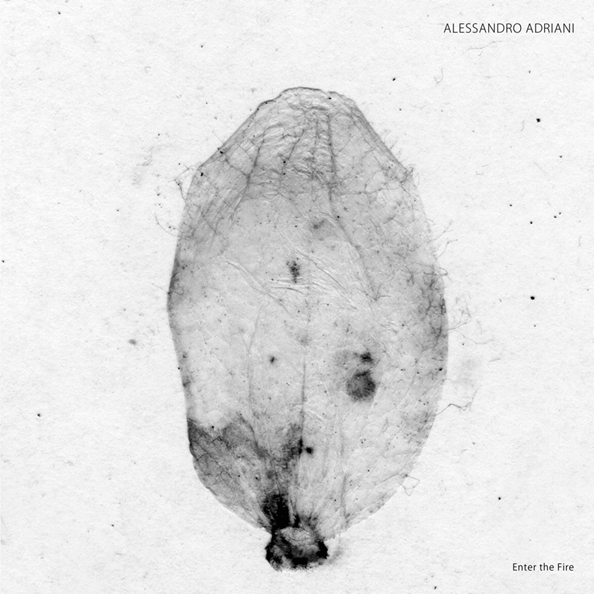 Adriani’s debut EP for the label, Enter the Fire, is the first evidence of a new mutation in the Stroboscopic DNA, as can be seen by a shift in Ignazio Mortellaro’s design work for the label (it is in keeping with the previous horticultural theme of the records, but now features directly scanned objects - in this case a single leaf features on the cover). Adriani’s work has appeared at a time when, even as electronic music continues to expand into all kinds of new territories, many still associate its signature sounds (analog synthesis, quantized percussion etc.) exclusively with the time in which they first began to make a significant cultural impact. Fortunately, innovators like Adriani ignore this belief that sounds must remain harnessed to a specific point in human history: his attitude towards music making is that the changing circumstances of our environments always have the potential to put a fresh spin on the sounds associated with a previous time and place. In other words, he does not cater to any conceptions of “retro” or dreams of future past. His curriculum vitae as a producer, event organizer, and label owner all comes back to this ethos of getting beyond the “museum exhibit” mentality to music and keeping it vital in the here and now. The music on Enter the Fire will not disappoint fans of the hard-edged, aerodynamic style that Adriani has perfected over the years: his skillful distillation of the most impactful elements from genres like EBM, acid, darkwave and industrial is on display the moment that the needle lands upon the grooves of the opening track “He Who Harnesses The Souls”. The track’s cycling sense of urgency builds as one hectic sequence is screened on top of the other, with the topmost layer providing a gorgeous melodic sheen to it all. This is followed up with “Rituals (707 EBM Version)” a tense martial stomp designed around a classically effective sequence of 16th notes and brusing kick drum. As these elements intensify the feeling of inhuman discipline through a series of flanging and filtering techniques, chilly phantom noises hint at a state of profound mental and physical exhaustion. The B-side shows that music with sheer bionic strength it isn’t the only card Adriani has to play, either within his repertoire as a whole or on this single slab of vinyl. It kicks off with a (relatively speaking!) more contemplative version of “Rituals,” a deviously designed mirage of shifting audio sands in which many different elements (i.e. some hesitant guitar figures, wordless vocalizations) come into view but remain tantalizingly out of reach. The program’s conclusion, “Astronomy”, evokes something more like the cultivated patience of a private investigator on a stakeout (one who is, of course, equipped with all necessary means of technological surveillance). Continuous high-frequency tones, magnified sections of surface noise, and a multitude of other encoded signals all descend on the listener and like a sort of dub music for the ‘peak information’ age.